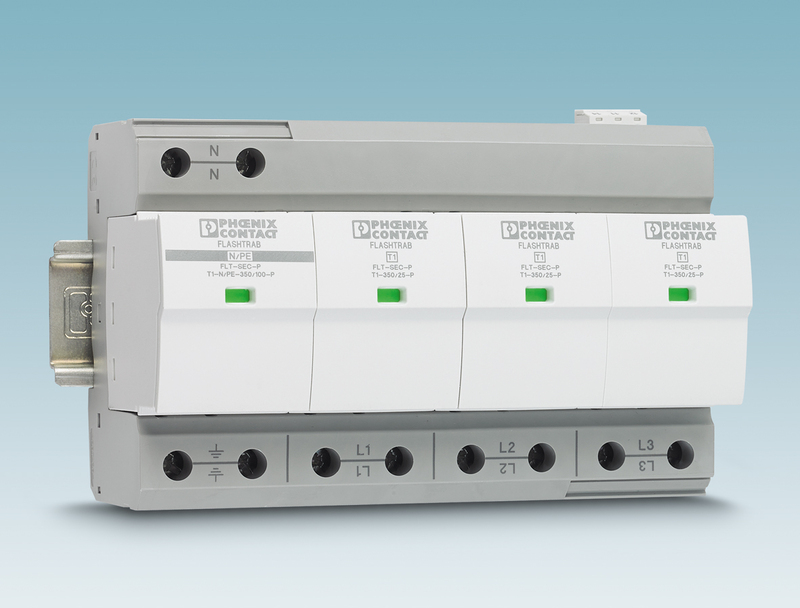 The new VAL-MB product family from Phoenix Contact provides powerful and compact protective devices for photovoltaic applications with generator voltages of up to 1500 V DC. The protective devices are specially adapted to DC application requirements and certified by KEMA. Longer inlet funnels and higher screw shafts provide additional protection against arcing. The product range includes protective devices for generator voltages of 600 V DC, 1000 V DC and 1500 V DC, as type-1/2 lightning current arresters, as well as pure type 2 surge protection devices. Variants are available with or without remote signaling contact. All protective devices have a short-circuit protection of 2000 A and can also be used in high-altitude plants up to 6000 meters in altitude. Phoenix Contact’s Plugtrab PT-IQ surge protection devices for MCR and process technology warn plant operators before protection of the plant is lost. To achieve this, each voltage-limiting component in the protective plugs is continuously monitored. 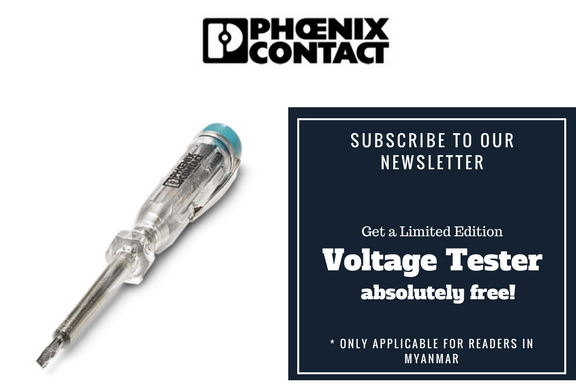 If the performance limit has been reached as a result of frequent surge voltages, this is indicated by a yellow signal on the protective device and via remote signaling. At this time, the arresters are still functional and the plant is protected. 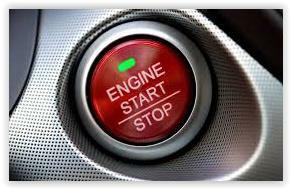 However, replacing the component is recommended to prevent unnecessary servicing. Plugtrab PT-IQ Ex protective devices are available for intrinsically safe areas. These devices can be installed in Ex Zone 2. The intrinsically safe protective circuits can be routed up to Ex Zone 0. 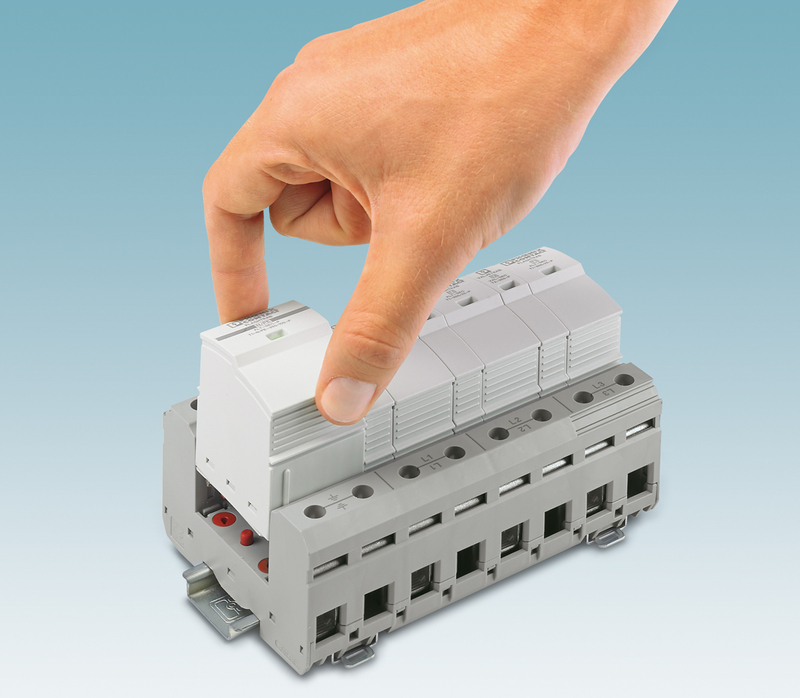 Thanks to multi-level monitoring and signaling, the plant operator always knows the status of protective devices and therefore has an overview of surge voltage protection in the plant. 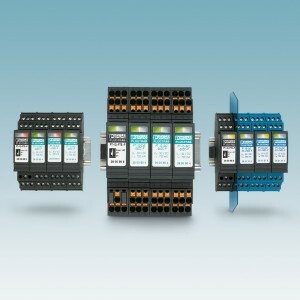 This intelligent surge voltage protection is available with traditional screw connection technology as well as innovative push-in connection technology. A controller supplies up to 28 protection modules with voltage and allows for connection of a central remote monitoring system. 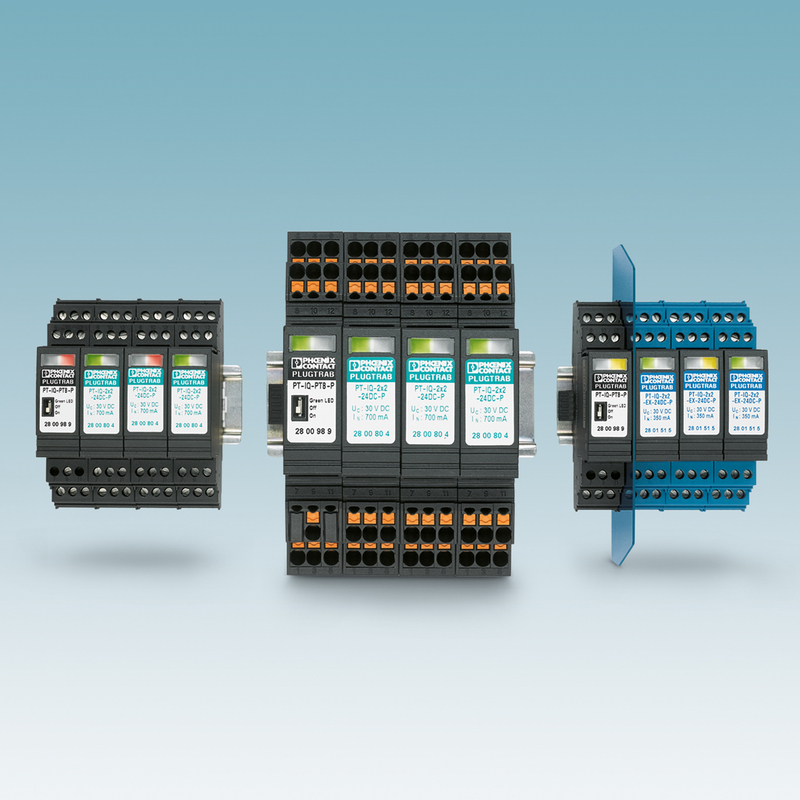 The products are based on the Safe Energy Control Technology (SEC) from Phoenix Contact, which enables even high discharge currents to be kept safely under control. With the new push-pull mechanism, the protective device plugs are easy to remove and latch after being inserted in the base element in a vibration-resistant manner. The integrated backup fuse allows the lightning arrester to be installed easily and flexibly. 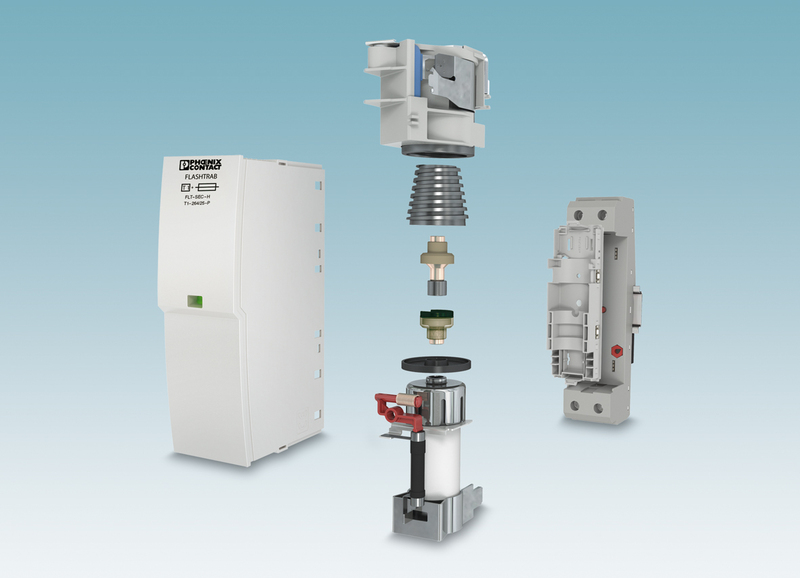 In comparison to installations with separate backup fuses, the new devices save up to 60% space, reduce wiring costs and effort, and allow customers to freely choose the installation location. The type 1 lightning arrester is suitable for use in 230/400 V power supply systems without a back-up fuse.